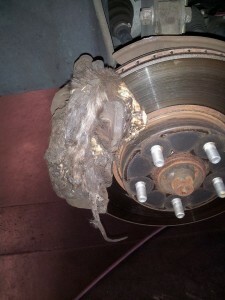 If your brakes fail, you should stay with the vehicle. When your are inside the vehicle you still have more control and safety devices then if your were “rag dolling” down the freeway. Today a driver decided to bail when her brakes failed and caused a five car accident and four people were injured. 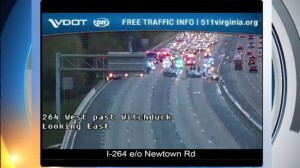 Jasmine Curbison was traveling westbound on I-264 in Virginia during the morning rush hour. When she hit the brake pedal, the vehicle did not slow down. Instead of trying to operate the emergency brakes or pump the pedal, She decided to jump and bail from her 2002 Jeep Cherokee onto a four lane freeway. A Honda Odyssey Minivan attempted to avoid hitting Curbison’s body, hit the rear end of the driverless Jeep. The Jeep was pushed into another car, causing that driver to hit the divider. The driver of the Honda then was struck from behind by a Saturn and that saturn was hit by another vehicle. Once the driver of the Honda Mini-Van struck the Jeep, the Honda was then struck from behind by a 2001 Saturn, in which the Saturn was then struck by a 2013 Hyundai. Four people suffered non-life threatening injuries and the freeway had to be closed for a short period. If Curbison decided to stay with the vehicle, even if the brakes had completely failed, the results might have been less tragic. Maybe if she had her brakes inspected and serviced, this never would have happened in the first place. PRO TIP: The K-Rail/Jersey Barrier is your Friend! 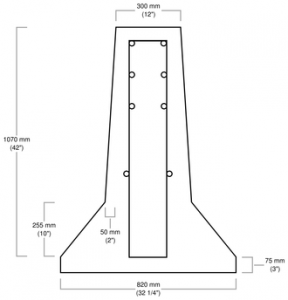 A Jersey barrier or Jersey wall is a modular concrete or plastic barrier employed to separate lanes of traffic. It is designed to minimize vehicle damage in cases of incidental contact while still preventing the crossover case of a head-on collision. When a vehicle hit the barrier, body damage is minimized by allowing the vehicle tires to ride up on the lower sloped face. This also helps to slow the vehicle. Head-ons are minimized by gradually lifting the vehicle and pivoting it away from oncoming vehicles and back into traffic heading in its original direction. A lot of test was done by the California Highway Department to get the slopes the right angles for maximum effectiveness. If your brakes do fail on the freeway, brushing against the Jersey barrier and letting your tire ride up it is a excellent way to shed speed. This video is for a cheap on the car brake lathe from China. The voice over and translation is so bad it is comical. Turn on the captions for maximum Engrish. 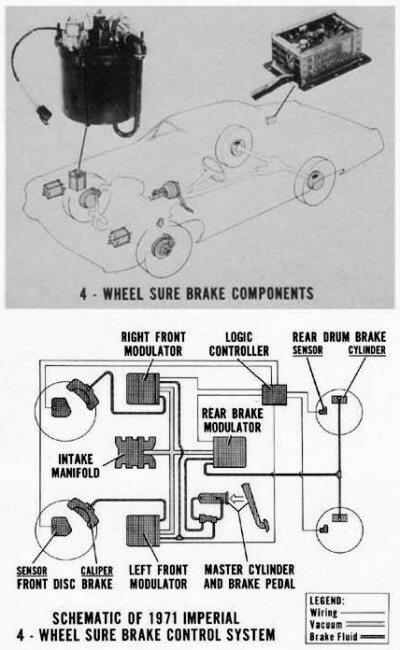 Every once in a while, the Safe Braking team puts together a compilation of the very best and very worst brake related content the massive aggregator Reddit has to offer. Today, we have some amazing gifs, and also some cringe-worthy pictures that will make you question the intelligence of most people. First up, aw rats! A customer came in complaining of squealing brakes. 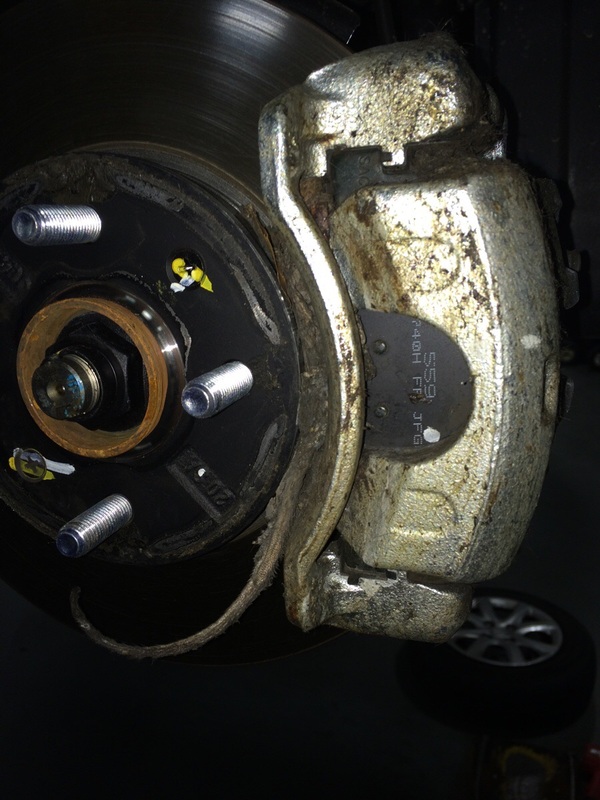 Although I don’t think it was the brakes that were squealing..
Third, is a a classic picture of terrible brake maintenance. Don’t be the guy who’s car is so bad it made it to Reddit! We sincerely hope you enjoyed our compilation!